Michael Rowarth, a career toolmaker with extensive involvement in product design, worked to solve the problem of how to stop snoring. He tried a range of anti-snoring devices on the market. None of them worked in the ways he wanted, so he and his wife converted their decades’ old business into Rowarth Design Ltd.
Michael’s engineering experience and a newly-purchased 3-D printer allowed them to test over one hundred prototypes to create a product they liked. The firm is based in New Zealand, but ships worldwide. Shipping cost is included in the price, $62. Interestingly, they do not quote their price in New Zealand dollars, but do in several world currencies—their thinking is that most people have a sense of how to translate dollars (or these currencies) into their own. 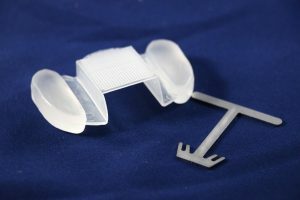 Tongue Restraining Devices (TRDs) can help people who snore, as well as those with obstructive sleep apnea. They are a less-expensive and less-burdensome option then CPAP machines. 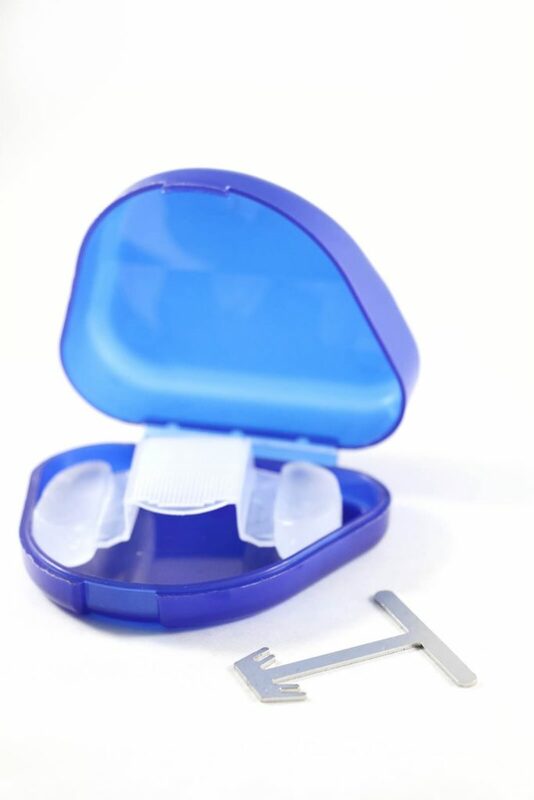 TRDs are a type of snoring mouthpiece. TRDs work by holding the tongue forward while sleeping. This position keeps the tongue from obstructing the airway. During sleep, the tongue tends to relax and collapse against the back of the throat. 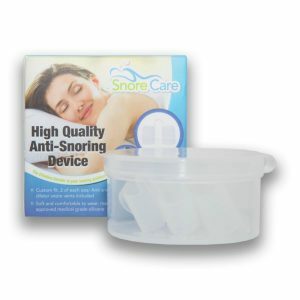 Clinical studies indicate that TRDs are both safe and effective in the reduction of both snoring and sleep apnea. For patients with severe sleep apnea, however, they tend to be less effective. Some devices are designed to position the tip of the tongue to the roof of the mouth and encourage nasal breathing. This position for the tongue, common in Zen Buddhist practice and taijiquan, helps keep the mouth moist. Sometimes TRDs make the mouth too moist, excessive salivation is a side effect, but it usually goes away after a week or so. Difficulty swallowing may also be a side effect but is connected with the size and shape of the device. The Silent Treatment is a boil-and-bite device. Unlike most such devices, however, it does not force the lower jaw forward; these can place a strain on the jaw. The Silent Treatment is held in place by an impression of the side teeth only. The teeth keep it in place as its tongue pad presses on the upper surface of the tongue. The tongue pad is covered with tiny spurs. These spurs are designed to link up with the papillae on the tongue, much as the hooks and loops of Velcro link up. The tongue is thus held in place. One additional benefit of The Silent Treatment is its reliance on muscle memory. It acts as a trainer for the tongue muscle. The muscle ends up “remembering” the position it’s been trained to adopt during sleep, and after a while, you will only need to use it once a week to help retain that memory. The design of The Silent Treatment is unique. It uses the impression of the teeth as a key part of the design but does not also force the jaw into another position. It is covered both as an international trademark, and a New Zealand patent application is pending. They do not guarantee that The Silent Treatment will work for everyone. If the tongue is not the culprit in the patient’s snoring/sleep apnea, or if their mouth is too small, the product will not work. They do guarantee a full and prompt refund. From the video guides and the website, it’s clear the inventor both believes in the product and can make believers of others—he had me hooked. I was unable to use my eagerly-awaited Silent Treatment for several nights after it arrived, but I could make the custom molding for my teeth. The instructions are long but clear. Make sure you read them before you begin the process, and do what they say—they mean it. Above all, make sure The Silent Treatment is positioned correctly in your mouth during the custom mold. You should experience no pain or soreness when it’s positioned correctly. They recommend using a mirror to guide your positioning. When I first tried to position it, it wasn’t lining up with my bite well. They do include a small tool, like a wedge, to help you position it, but I found this tool kept falling out. Instead, I pressed the outer edges towards each other while I was biting down. That process seemed to work. While I was fitting the device, I brought water to a boil and boiled it for a minute. Based on experience with boil-and-bite devices, I then let it cool some. And then put it in my mouth and bit down. It took little to no impression—it was too cool. The Silent Treatment is ready for molding right after it comes out of the boiling water. So, I boiled it again and followed directions. And the next bite left a good impression. After cooling, it was ready to use. TRDs generally take 2-4 nights of adjustment. The first night is the key period, though, and I found The Silent Treatment was harder for me to adjust to using. It is difficult to near impossible to swallow while it is in place. Saliva, therefore, builds up, and drools out. After around 45 minutes, I decided I’d had enough, and removed it. I was getting used to the positioning by that time, but the drooling was too much. The Silent Treatment does hold the tongue down firmly. The next night, I tried again and removed it after 45 minutes again. On subsequent nights, I kept on trying but was unable to fall asleep with it in my mouth. I removed it each night. It’s too hard to swallow. It also forces the tongue down hard, and that lowers the comfort level. I believe this product will work for the right people. The right people will have the time and patience to practice and adjust to it. This extended period of adjustment makes it difficult to get a helpful review of its effectiveness. The device is not FDA-approved, largely because it’s made in New Zealand. Based on our dealings with the company, the transaction will be clean and honest—they are trustworthy. They ship via regular mail channels, although faster, international courier shipping methods are available. Estimated delivery time is 2-3 weeks outside of New Zealand.